Welcome to the world of e-cig. If you’re like the rest of us when we first started out, you are probably a little overwhelmed. The point of this article is to help you choose the best electronic cigarette with as little fuss as possible. Although it may seem like there is a lot of information you need to know, it is actually quite easy to grasp and after reading this article, you will feel a lot more confident about how to choose an e-cigarette. Decide if vaping is a short-term activity or a long-term activity for you. Basically, do you just plan on vaping for 3 to 6 months to help you quit smoking? Or do think this will become a hobby of yours and you plan on vaping for a long time. The reason this matter is that it will help you set a budget thus giving you a direction on what type of best cigarettes to buy. Depending on how often will you use your new e-cigarette depends which model and type you should buy. If you will be using it for just a few minutes at a time, like in the morning, during work, and latter trough night, you can get yourself a cheaper model or a disposable one because it will give you what you need. But if you are a passionate smoker you need to buy one that has a battery that will last for two to more days, and that can stay in its best shape no matter how often you use it. Those more expensive ones have the capacity to always give you the taste and experience you need no matter how often you need it. Did you realize there are two general types of electronic cigarettes? There are one piece disposable e-cigarettes and tank style refillable style e-cigarettes. Each has its pros & cons. Disposables are simpler to use but you have less battery life and a lot less choice for flavors and nicotine strengths to use. Versus tank style e-cigs which allow you to get the exact flavor and nicotine strength to excite your senses, but you have to refill a tank and deal with more parts. Generally speaking, people usually only use disposable cartridge style electronic cigarettes when they are in social settings and want to discreetly use their e-cig. While people who want more control over their electronic cigarette activities prefer re-fillable tank style e-cigarettes. You can easily buy electronic cigarettes, e-liquids, and accessories in your local store or online these days. And both of these have their pro’s & cons too. Your local e-cig store can help you choose an electronic cigarette but their prices are often two or three times higher than online and they usually have a limited selection. The benefit to shopping online is that you have a much larger selection at much better prices. And in regards to customer service and knowledge, nowadays you can get just as good or even better knowledge from an online store because of the many different types of electronic cigarettes in inventory. The beauty in e-cig and e-cigarettes is that they can be used anywhere. It doesn’t matter if in restaurants, homes, or public places smoking is forbidden or not, because e-cig and e-cigarettes leave vapor not smoke. They do not smell, they do not stain the walls, and are not harmful to you, others, or children. The best cigarettes on the market even have various style and other options that will make your experience even better. They can be used in your office, or other places of work, because they do not leave any trace or smell. You will certainly leave your regular cigarettes for good after experiencing the full taste and benefits the e-cig and e-cigarettes can offer. Best cigarettes are those that keep you healthy and cannot harm anyone, and you will be surprised how much e-cigarettes have to offer. From various tastes to unbelievable experience. We all know the benefits of electronic cigarettes and there is lots of good information about how to choose your first electronic cigarette…but there is not much info available helping you make the decision of where to buy your e-cigarettes and e-liquids. Basically, you have two options, at your local store or from an online retailer. Here are the pros and cons of buying your e-cigarettes and e-liquids online to help you make a decision. When figuring out where to buy your e-cigarettes and e-liquids there are four main factors you will want to consider: Price, Knowledge, Selection, and Convenience. One of the main factors we use to buy almost everything in our lives, including electronic cigarettes, is a price. It doesn’t matter who you are or what you are trying to buy, you are always looking for the highest quality product at the lowest price. E-cigarettes are no different. As you know, the price of almost everything is better online than at your local store because of the low overhead expenses of an online retailer. Thus when considering the price of e-cigarettes and e-liquids, definitely shop online because you will find much lower prices…often up to 50%-60% less than in your local e-cig shop. When a person is first starting to think about using electronic cigarettes, they are often very overwhelmed with what products to buy and how to use them. So they do the most obvious thing – they head down to their local e-cig shop and ask for help. While this makes sense on the surface, we have learned from numerous calls to our customer service department that this usually ends in disaster. New users of electronic cigarettes are told a bunch of inaccurate information and pressured into buying a sub-par product. Why does this happen? This happens because most local e-cig shops have an agenda – they have one or two brands and a few models and they want you to buy them. It doesn’t matter if their brand and models are actually the best fit for your budget and goals, they are going to make you believe their few products will solve all your problems. If you really want to know how many brands there are, what are the best ones and what brand will be perfect for you, it will do you more good to go online and learn, than to ask in your local shop. Why? Because the local shop only have few brands in their offer, and from those brands, they even have fewer models. They cannot recommend you something they do not have in their store, and their goal is to sell. So it may be the best to browse through a few websites and read their blogs about specific brands and offers before you make your decision. 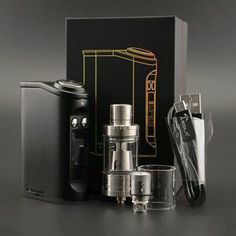 First, if you will be buying all of your liquid and other accessories online, you need to find a shop that offers products you need at affordable prices, and that their shipping regulations are perfect for you. If you will be buying it in a shop, look if you have a local shop and if that shop sells quality enough products. You don’t wannt to run out of luqid or other things before you can get some more so, be organized and always buy in advance. If convenience is high on your priority list, you’re probably better off just going online. You’ll get better prices, a wider selection of products and more knowledge. Electronic cigarettes do not actually burn any physical substance within the device. They simply produce heat that causes the vaporizer to boil the electronic liquid inside the e-cigarette in order to create a steam that can be inhaled. There are many different electronic liquids available. Some contain nicotine – a favorite amongst smokers – but other contain pleasant flavors such as vanilla, blueberry, menthol and more while containing zero nicotine. Of course, there is a limit to the amount of liquid that is in each cartridge. It’s possible to buy a bottle of your favorite and refill the e-cig when you run out. It will automatically evaporate when you smoke the cigarette. If you can not hear any “bubbling” sound and no smoke comes out of the cigarette when you puff on it – chances are you are out of e-cig liquid. One bottle (10ml size) should last for 1-2 weeks if you smoke moderately. When you start using electronic cigarettes, you need to know how often you will use them roughly so that you do not have to stay without electronic liquid, because then you can not consume cigarettes. Those who want to vape periodically will need to fill their cigarettes every 4 to 7 days. Still, when you start using them, it’s very easy to use them very quickly. So when you start using them, pay attention to how much fluid you spend in a day to calculate your spending. How often do you use them daily? If you use it only a few minutes during the day, you will not spend a lot of electronic liquid. But if you use them for a long time at work or when you are in the car, you will have to be able to refill them even every day. Of course, this does not sound very practical, and you can be surprised how many other people are quickly consuming all the fluids in them. Some refill their e-cigarettes every day so they do not even know how much they consume while using them. But this way, they are sure that their e-cigarettes will always be ready whenever they need it. What type of liquid should you use? All electronic cigarettes are filled with electronic liquid. They are made at different doses of nicotine and in various aromas, from tobacco, which are similar to the most famous tobacco brands, to fruit or coffee. There are various manufacturers. The most important thing is to find a flavor that suits you and enjoyment is guaranteed. The basic ingredients are propylene glycol, vegetable glycerine, distilled water, nicotine, and aromas. There are also nicotine-free. What Kind of Tank and Coil Are You Using? It is important what kind of tank and coil you use because different coils and tanks perform very differently. Some burn hotter, and some use much more fluid than usual. That does not mean that you have to change tank and coils, because perhaps the type you use is giving you the experience you like the most. Do you usually take short fumes or do you like to fully pull the steam as much as possible? How do you smoke? There is no wrong way, and each of them uses a electronic liquid in different quantities. However, those who puff use more fluids so do not be surprised if you refill your cigarette more often than others, although you use them for significantly less time than they do. So How Do These Electronic Cigarettes Work Anyway? The electronic cigarette may at first seem to be a strange concept – you may wonder what exactly it is and why you would want to use one. With more and more people switching to e-cigarettes, it’s helpful to know some essential facts about them. You might even want to try them yourself! E-cigarettes are an alternative to tobacco products. Although they can be similar in appearance to traditional cigarettes, they work quite differently. Nothing is actually burned during their use. Instead, an internal battery heats a coil inside an atomizer, which produces vapor out of a liquid chemical mix. The e-cigarette user then inhales the vapor. This vapor is odorless when exhaled, and lacks the irritating and cancer-causing chemicals that are present in cigarette smoke. 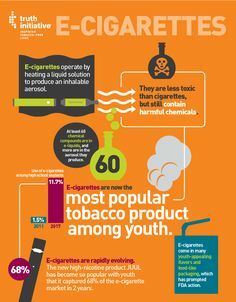 Every day there are more and more people who are smokers and who are using e-cigarettes and e-cigs instead of everyday cigarettes. Why is that? First of all because of money. With regular cigarettes, you need to buy one to four packs of cigarettes in two days and that costs a lot of money. With e-cigarettes, you buy only one, and that is it for the rest of your life. The only thing you should do is charge the battery for an hour in one to two days, and choose which taste would you like to experience. That is it. The other reason people are using e-cigarettes every day is that they are the healthier option. There is no risk for lung cancer, they do not leave that smell all over you, your room or other places, you can use them anywhere and you can be regularly active and play sports without having to stop and catch your breath. They will keep your health and your cigarette addiction in control. The food will have fuller taste, and you will not be inhaling harmful materials into your body. 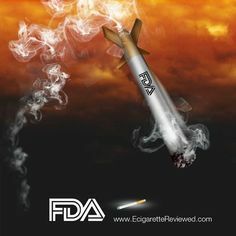 There are liquids that contain nicotine and those that don’t so you will not have to worry about your addiction anymore. You can choose which one you want to use and switch any time to a different one. And you can use them at home, at your place of work, or anywhere where smoking is banned. Because they are e-cigarettes. E-cigarettes can also be used as a tool to reduce and eventually eliminate nicotine addiction. Since e-liquid comes in different nicotine strengths, it’s possible to gradually lower the amount of nicotine you’re inhaling until you’re simply inhaling flavored vapor with no nicotine at all. You can still use your e-cigarette after this point; some find it a pleasant social activity. It’s important to know that you’ll likely go through an adjustment period after switching to e-cigarettes. It will take time for your body to get used to not taking in all the chemicals you ingested while you were smoking. You’ll have to adjust your habits since the mechanics of “vaping” (the term for e-cigarette use) are different than those of smoking. (For one thing, you don’t get any benefit from drawing the vapor into your lungs, and actually get more nicotine from it if you don’t.) You’ll need to begin considering such things as whether your e-cigarette’s battery is charged and whether its atomizer is clean or its cartridge needs to be changed. Menthol Vaporizers And Why Select That Flavor? For a long time, menthol was an important ingredient in various tobacco and smoking products. The reason for this is because menthol provides a nice cooling sensation and is very good at masking smoke and its harshness. Studies have shown that flavored cigarettes with a high quantity of menthol give their users a stronger impact. In contrast, cigarettes with low quantities of menthol were shown to give a minty and cool taste. Given its popularity, it isn’t unexpected that cooling menthol is a favorite flavoring in menthol vaporizers and E-cigarettes. If you want the taste of menthol cigarettes in your mouth instead of chocolate, vanilla or that standard bad taste regular cigarettes leave, menthol may be the thing for you. Especially if you have previously smoked menthol tasting tobacco. What will surprise you, in particular, is the fact that the menthol electronic cigarette is much more pleasant and the taste is more complete and lasts longer than with ordinary cigarettes. However, there are a lot of manufacturers on the market and you have to decide on who will offer you a full flavor of taste that you seek and who you will purchase from. Be sure to check the ingredients and buy only through verified suppliers and sites, because you do not want to buy false or bad products. False or bad products can contain carcinogens. One of the biggest issues smokers have is that people around them always complain about the smoke. People don’t usually choose to be passive smokers and this bothers them. While E-cigarettes have already helped greatly with this issue, menthol flavor helps even more. Menthol vaporizers are a great solution to this problem. Menthol has a nice smell. It feels refreshing and great and it gives off a sense of calm and cleanness. Every problem that nonsmokers have against cigarettes, menthol can solve. Menthol vapor does not smell like regular vapor or smoke of a cigarette. It leaves a great taste in the mouth and it feels refreshing in the lungs. While menthol is a fantastic choice, there are a lot of different and amazing flavors out there. In fact today, you can find over 460 vape brands and over 7700 different flavors! The E-cigarette industry is booming. At one time, ten new brands and over two hundred new flavors appeared monthly. How can one be expected to make a decision among all of these fantastic choices? People who are new to the vaping scene can easily become overwhelmed. Just give it time and you will find your flavor. Some flavors will suit you and some will not, it is up to you to discover what appeals to you. Whatever happens, it seems that E-cigarettes and vaporizers are here to stay and they are the future of smoking. They are much healthier than the regular cigarettes, much cleaner for your surroundings and the environment and offer tastes and flavors that no ordinary tobacco product could ever match. It doesn’t matter if you are starting to vape just now or if you are been doing it for a long time. You should know what are the good brands out there so you can always get the best experience you need and deserve. Nowadays there are numerous options and you may feel a little bit lost when you try to research what you need and hot to get your money’s worth. Feer no more because we are here for you. 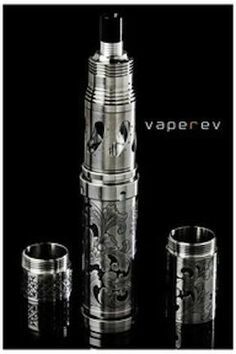 There are a lot of companies that have various types of vape models and vapor hardware. That is why we decided to show you some of the best vape brands there is. We dedicated time, we asked people what they think, we looked at reports, materials they use, how much regards they have for peoples health and we found out which are the best. Kanger Tech has been the leader of this industry and the best vape brand for a long time. Their models are highly recommended for first-time users too. To this day they are innovative and their products have astonishing performance. There is no coincidence they choose this name because their dedication to technology is unbelievable. They deliver top-notch innovation and engineering through all of their products. And they have basic and more upgraded and complex types models and hardware from which you can choose. If you need something affordable where you will get your money worth but will not have to deal with products that stop working as soon as you get them or their warranty expires, Eleaf may be the perfect fit for you because it is among best vape brand. All of their products are straightforward and really easy to use, so you will spend your time enjoying instead trying to make them work. If you want something that is more personalized and where accessories and hardware make you feel like the product is tailored to your needs, you might want to check out the company called Sigelei. Their products are so good if you look at them from an engineering and technical perspective, which makes them more reliable than others. Their almost immediate success make everyone at awe. What makes them so popular among other things is their price range. They are for years known as the best vape brand. This obvious front-runner in this industry is profitable and successful brand for years. They have a massive selection, and they are focused on always making customizations that keeps them in lead. If you want to experience something unique, they are your answer. No matter which brand you choose, you first need to know what is it that you want to get from such product, how often will you use it and what specifics it has to have in order to give you nice satisfaction and experience. With that in mind, we are sure that you will find your best vape brand.